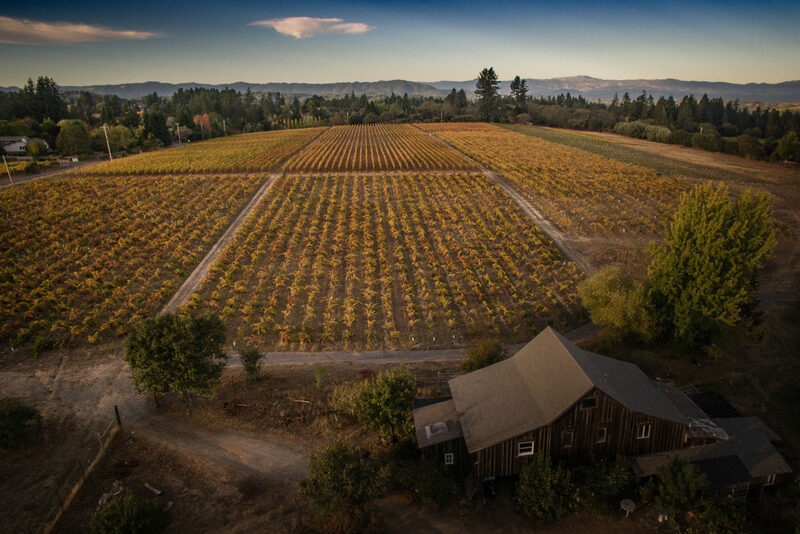 The estate lies ten miles from the ocean on a ridgetop above Occidental, where the land is uniformly comprised of fine sandy loam Goldridge soil – the remnants of an ancient seabed, revered for providing excellent drainage and moderate fertility. Vine roots extend low into the subsoil, which enables them to access water reserves late in the growing season, making it possible to continue dry-farming the old-vine Zinfandel plantings of 1946. 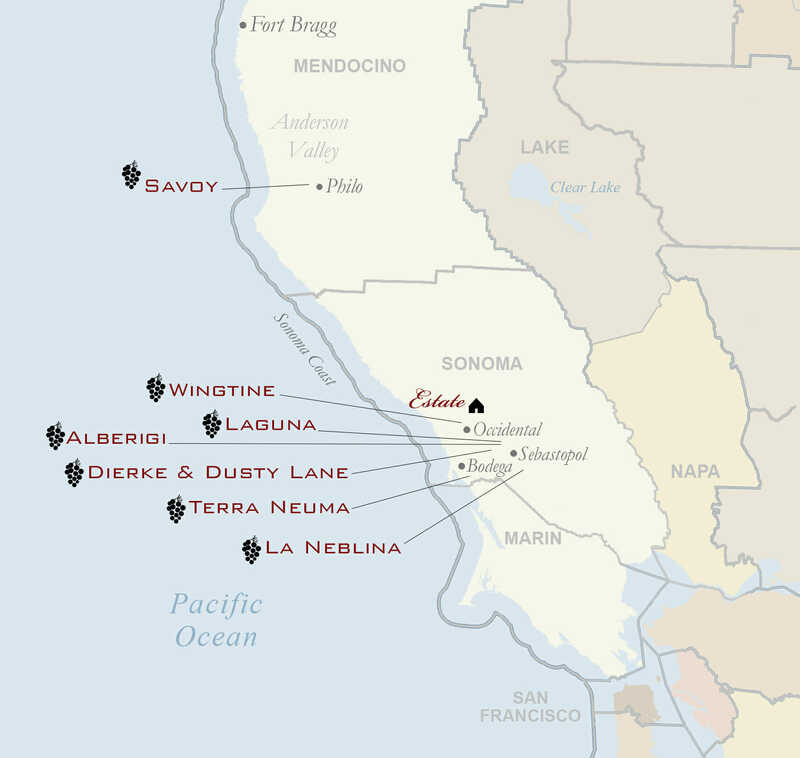 A part of the Sonoma Coast, but bordering on the Green Valley and Russian River Valley AVAs, the area experiences moderate rainfall seasonally through the winter months, and the overall cool, coastal climate provides for extended ripening and good flavor development. It is this distinctive terroir that provides the platform for our non-interventionist winegrowing practices, encapsulating our intention to preserve, capture, reflect, and respect the property’s unique sense of place.